San Diego, CA – June 9, 2014 – Youngevity International, Inc. (OTCQX: YGYI) (www.YGYI.com), a global direct marketer of nutritional and lifestyle products and also a vertically-integrated producer of gourmet coffees for the commercial, retail and direct sales channels, announced today it has taken another major step in its international expansion by opening an office in Johor Bahru, Malaysia to serve the direct selling markets in Southeast Asia. YGY International (Malaysia) had a successful soft launch in Johor Bahru, Malaysia at the 54th National Malaysian Medical Association AGM & Scientific Meeting of the Private Medical Practioners, a three day conference that was attended by over seven hundred medical practitioners from Malaysia and Singapore. In addition, YGY International was invited to present at the conference and provide further insight on how medicine could be better integrated with the nutritional and nutraceutical practices. “It was an honor to be invited to speak to the top medical professionals and physicians in Malaysia. Due to the extensive research we have done with Clemson University and the University of Manitoba along with our powerful and complimentary view on our products and medicine, the Association was very appreciative and we were well received,” said Sanjeev Javia, Youngevity Scientific Advisory Board Member and speaker at the conference. 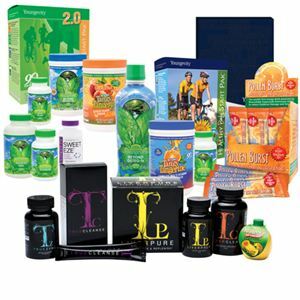 Youngevity International Inc., (OTCQX: YGYI) (www.YGYI.com ) is a fast-growing, innovative, multi-dimensional company that offers a wide range of consumer products and services, primarily through person-to-person selling relationships that comprise a “network of networks.” The Company also is a vertically-integrated producer of the finest coffees for the commercial, retail and direct sales channels. The Company was formed after the merger of Youngevity Essential Life Sciences (www.youngevity.com) and Javalution Coffee Company in the summer of 2011. The company was formerly known as AL International, Inc. and changed its name to Youngevity International Inc. in July 2013. This release includes forward-looking statements on our current expectations and projections about future events. In some cases forward-looking statements can be identified by terminology such as “may,” “should,” “potential,” “continue,” “expects,” “anticipates,” “intends,” “plans,” “believes,” “estimates,” and similar expressions. The forward-looking statements contained in this press release include statements regarding the Company’s expected future growth, our anticipated international expansion, and the global demand for our products. These statements are based upon current beliefs, expectations and assumptions and are subject to a number of risks and uncertainties, many of which are difficult to predict including our ability to penetrate further the international markets and increase the demand for our products. The information in this release is provided only as of the date of this release, and we undertake no obligation to update any forward-looking statements contained in this release based on new information, future events, or otherwise, except as required by law.